An April evening was never more delicious in Tampa than last Tuesday night when over 130 Sustany® supporters took part in a walking tour of downtown restaurants newly designated as Green Businesses by the City of Tampa. The Sustany® Foundation, in collaboration with the Tampa Downtown Partnership and assisted by students from University of Tampa and USF Patel College of Global Sustainability, inducted ten new companies into the elite club of officially recognized Sustainable Businesses – including four foodie favorites: Anise Global Gastrobar, Bamboozle Cafe, Duckweed Urban Market and Malio’s Prime Steakhouse. Another spicy local concoction was being served up by Alberto Tola, brewmaster of Toma-Tola Veggie Brew. Think “V8” Juice, but fresh and really supremely delicious. This tasty drink is perfect for a Bloody Mary, says Alberto, who says he can only mix up tiny batches of his brew. 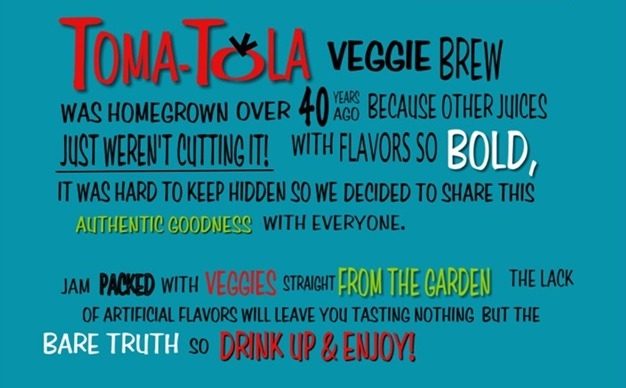 So you have to go to Duckweed to buy your own, or order a Bloody Mary or Virgin Mary at The Columbia Restaurant to try some tasty Toma-Tola. Many of those ingredients and flavors were served up in a small plate of beef and rice with a side of chicken wrapped with cabbage that had folks lined up literally out the door and along the sidewalk in front of this tiny Tampa treasure. 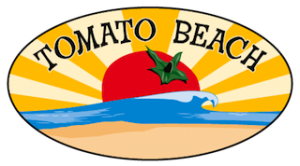 Another new inductee in the Sustainable Business Program run by The Sustany® Foundation and recognized by the City of Tampa, Bamboozle Cafe is also part of a fitness club in collaboration with Sweatshop Urban Gym. It works like this: if you are a member of the gym you can get 20% off your order! They encourage folks to order ahead for take-out and then give their taste buds a once-over as well. Strolling down to Malio’s in Tampa Bay’s iconic Syke’s “beercan building” the Sustany® diners found less abundant food but the riverside deck was absolutely perfect for catching the last tendrils of sunset on the mighty Hillsborough River.